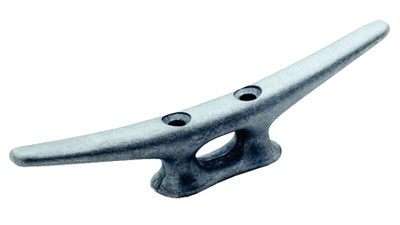 Cast aluminum cleats. Ideal for small boats and docks. Two holes for required fasteners. Conveniently pre-drilled with two holes for easy. secure installation. Size: 4-1/2" L x 1-1/2" H, 1/4" fasteners (2).